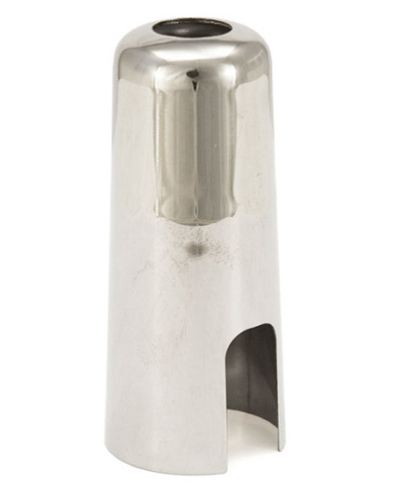 This USA made Windcraft mouthpiece cap is designed to fit over most classic two screw ligatures, but is especially suited to the Windcraft 2 Screw Alto Sax ligature in nickel plate. Made from a durable meatl and finished in nickel silver the Windcraft metal cap is ideal for protecting your mouthpiece and reed from getting damaged. These metal caps are fairly indestructable and will not break as easily as a plastic cap ensuring a longer life span.